With only 1 day to go on Day 29 of my #30daysofred in November and I’ve got another great shade which proves how amazing this brand is and its so cheap its rude not to buy it! So, this lipstick today is one I almost forgot about. In fact it was only while I was looking for a lipstick in my storage bag where I keep them that I found this one. I then wondered why the hell I’d not worn it more as I haven’t wore this one in ages. So thank you #30daysofred this is a rediscovery for me! Today’s lipstick is the beautiful berry toned Revolution Amazing Lipstick in Reckless. Now from the get go and packaging Revolution really don’t make too much effort. Admittedly if I didn’t know the brand and saw this in Superdrug I’d probably pass on by as it doesn’t look too exciting. However, not only are these super budget friendly (£1 only!!) but the formulas really nice too. Granted I can find these a little ‘waxy’, but they are pretty hydrating on the lips and even the darker shades don’t dry my lips out. The pigmentation is good and their colour range is pretty epic too! Now Reckless isn’t all it seems. Its a red current berry kind of shade which I adore, but similar to the Rimmel Provocalips in Play With Fire (See post here), in some lights it pulls more to the brown toned reds. This for me makes it super special as it means it suits a variety of skin tones. Also, it looks great not just with a dramatic smoky eye, but also the deeper brown shadows too. Reckless is a favourite of mine and I’m so glad I did this tag and re-found it again! 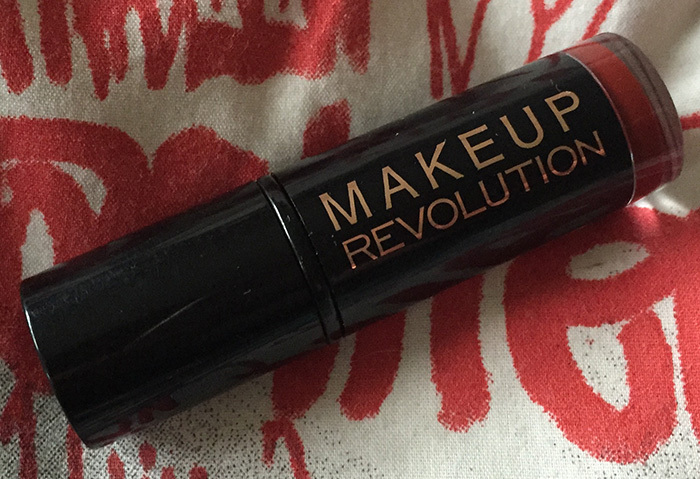 The Revolution Amazing Lipsticks are available from Revolution and Superdrug stores and online. They cost £1 each. To see my previous posts of the #30daysofred in November, click here.